Damu Nagar, Valparai, Coimbatore, Tamil Nadu, India. Use the form below to inquire about Quaint Tea Estate Bungalow . Use the form below to reserve for Quaint Tea Estate Bungalow . This quaint Tea Estate Bungalow amidst a vast plantation is a man’s dream of a pit stop in the lap of Mother Nature itself. This quaint Tea Estate Bungalow is home to the greens, with the meaning “formation of a cluster of small hills”, the bungalows do justice to the name! Surrounded by a luxurious green cover, the property is home to a wide variety of flora and fauna. The hills overlook the bungalow, which has three bedrooms and is a visage of an era gone by, adorned with antique furniture and fireplaces that truly give you an ethereal experience. 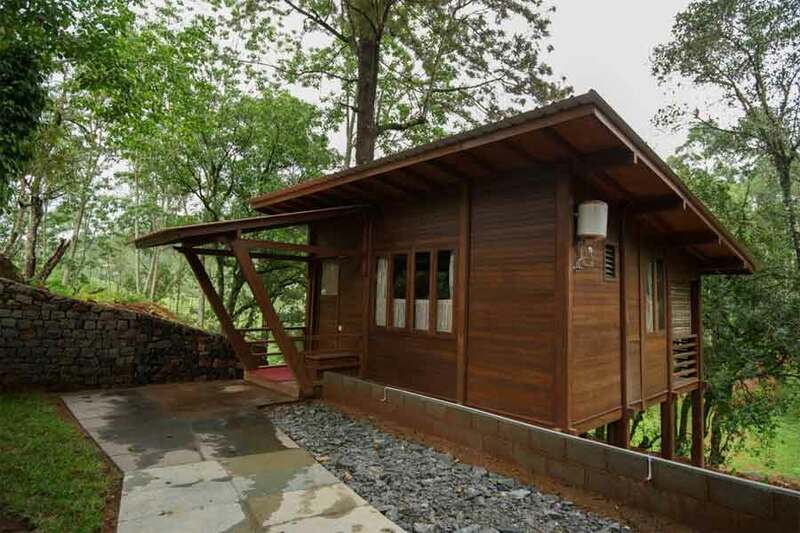 The real beauty of quaint Tea Estate Bungalow lies in the space beyond the rooms. With tall trees surrounding the property, the largesse of the lawns complements the antiqueness within the rooms with an unparalleled freshness. The property houses four wooden chalets, each looking out to the panoramic wooded areas, and each of these is excellent spots for bird watching enthusiasts as the fruited trees attract the largest congregation of birds in the morning. The view that greets you in the morning is a touch of Utopia, as the birds converge in on the property with raucous enthusiasm. The experience of a stayover at the chalets is unique in itself, as the structures rise high above the ground and right into the canopy of the trees. For people who find solace in water, there is a plunge pool to relax the senses. The property is also home to two tents which are large enough to provide for your needs without you feeling the need to compromise on your comfort. This is the real combination of the outdoorsy experience coupled with the fantastic experience of being on a secure property at the same time! Well-furnished, the tents also have front porches with adequate facilities for sitting and taking in the view of the wilderness around the property. A wide range of activities awaits you at quaint Tea Estate Bungalow to make for a complete holiday. Activities not mentioned in inclusion. 30 days prior to check in date – No cancellation charges. 30 days to 15 days prior to the check in date – 50% of total booked period. Less than 15 days of arrival date – 100% of total billing for booked period. Festive Days booking cancellation - Non Refundable. Located in the groves blessed by Mother Nature herself, this quaint Bungalow offers a bevy of options for people with different tastes. You can choose to go on a trek, pursue photography and bird watching, relax and take in the aroma of the tea gardens as you walk through the plantations, or visit the tea factory and taste tea like the professionals themselves! If you are a person who prefers to walk, go ahead and take riverside walks, and trek along the peripheries of the reserve forest. Enjoy the sunset at exquisite sites especially chosen for imprinting the best memories that you can possibly have! There is a provision for bonfires, cycling, and also a mini-amphitheater for the discerning few! For travelers who will be coming from Bangalore, take Hosur road and drive towards Dharmapuri-Erode-Thiruppur. From Thiruppur drive 136 km towards Pollachi-Aliyar. From Aliyar drive 48.9km towards Valparai and you will reach Puthuthottam Annexe bungalow, a total distance of about 460 km (approx 8,5 hrs). From Chennai, drive towards Dhindivanam-Villupuram a distance of about 170 km (approx 3.5 hrs). From Villupuram take Salem road and drive 400 km (approx 4.5 hrs) towards Salem-Erode-Thiruppur. From Thiruppur drive 136 km (approx 2.5 hrs) towards Pollachi-Aliyar. From Aliyar drive 48.9 km (approx 1 hr) towards Valparai and you will reach Puthuthottam Annexe bungalow. From Coimbatore, travelers can take the NH83 and SH78 to reach the bungalow covering a distance of about 110 km (approx 3 hrs). 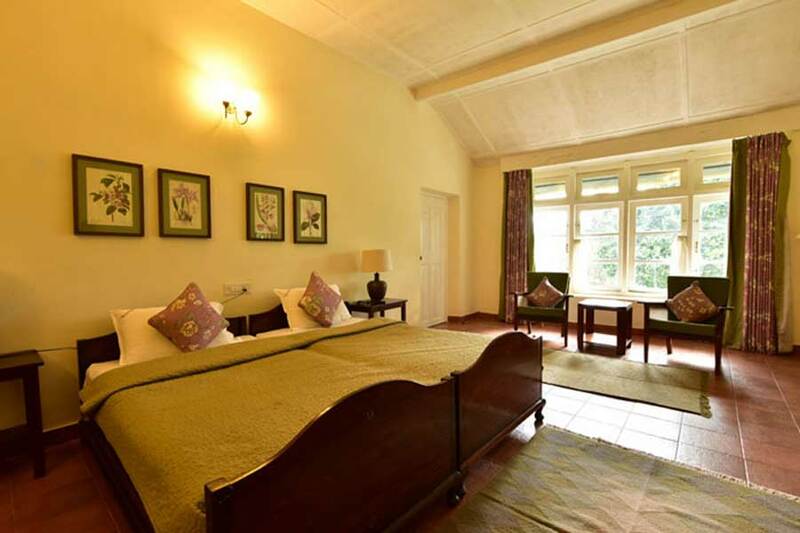 Stay: Quaint Tea Estate Bungalow Address: Damu Nagar, Valparai, Coimbatore, Tamil Nadu, India.